R.U.S.E. is a multi-platform real time strategy game set deep within World War II as Germany finds itself invaded on all sides by the forces of the Allies. Opting to be a strategy game focused on countering and intelligence it’s different to other RTS titles you may have played previously. 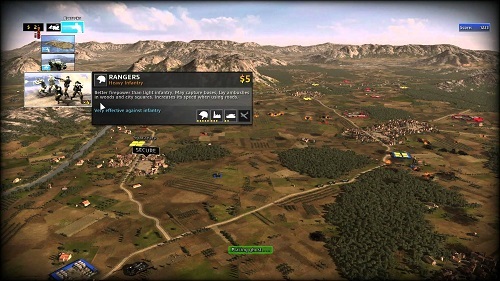 In the single player offering the game explores a single story arc which follows the United States Army officer Joseph Sheridan as he moves around various locations and is promoted for his efforts. This campaign is used well as a backdrop in R.U.S.E. which allows it to explore many different landscapes and scenarios while combining it all together. Gameplay is where R.U.S.E. stands out against other titles, focusing on hard counters it’s a game that is rarely one sided as players continually try to one up each other. 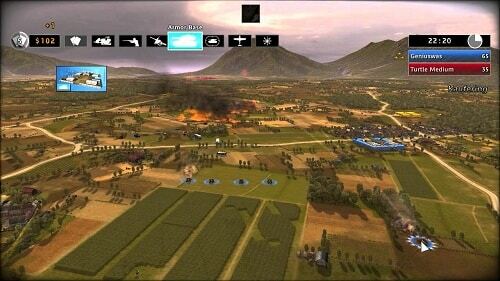 Players will fight over control of land and air control as they use a variety of infantry, fixed guns, tanks and aircraft which have different strengths on the battlefield. This range of units does increase over time and can also be boosted through a range of upgrades. The available factions have some difference in unit availability and strengths but generally can use the same range of strategies effectively. All of this paid for with supply which tries to capture the real issues of war by providing players limited resources which must be collected by trucks from the various supply depots scattered around the map. These lines of supply can be easily attacked and vulnerable to careful enemy planning. Players will see the most success by carefully choosing their battles and sending in the appropriate units, something that is aided through the UI which will tell players the risk of engaging the enemy unit with the current selected unit. If the risk is too great units may refused to engage with injured units retreating once they reach a damage point. The real depth and uniqueness of R.U.S.E. is within the ruse system which allows players to bluff and fool their enemies or temporarily boost your own units. These ruse cards can be played at any time on a specific area on the map and offer things from boosting your unit speed, launching some fake units against the enemy, hiding units and spying on your enemy. Using these ruse cards effectively and at the right time can make or break a strategy and adds a layer that feels very much like World War II. Real time strategy on a grand scale. Hard counters to units makes the game a constant back and forth. Multiple factions with their own units and strengths. Use your ruse cards to trick your enemy and apply buffs or debuffs. Available on computer, Xbox and PlayStation.